Even modern home appliances or furniture don't reflect your sophisticated standard of living due to unorganized lifestyle. Now it isn't a big issue at all because numerous household purchase drawer, rack, and shelves for their home and set their stuff properly in them. These things are considered as home storage supplies that allowing to keep the stuff in an organized way through which an individual can easily get the thing at the time of need. The uncountable benefits of these accessories have their own importance and home storage supplies products prices in Pakistan is true to those benefits. 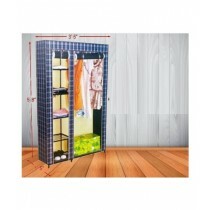 Each item is supportive to remove a messy and disordered area from the house and maintain its beauty. 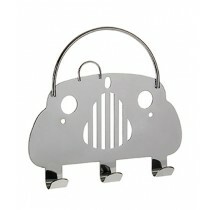 The diverse variety of household items has been designed by considering the different need of every corner of the house. It could be coat racks or umbrella that designed to organize the closet while storage boxes & bins mainly purchase for the room of kids to hold a bulk quantity of their toys. You can find other variety of home storage supplies such as Laundry Storage, Kitchen Storage, Racks, Bathroom Storage, Drawers, and Shelves for shoes as well. Home storage supplies products prices in Pakistan has been set as per their design and durability and don't let you feel bad about your purchasing decision. Most of the peoples are used to throw their jacket on bed and sofas after entering into a home and their every tiny stuff create a mess. They don't want to fold and keep those clothes into cupboard again or put into the washing area as well. 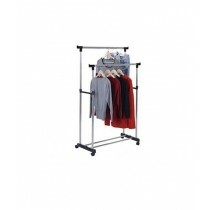 The particular issue creates the value of coat racks and umbrella stands in the life of an individual which allowing to hang those frequently used clothing items. Home storage supplies products prices in Pakistan is justifying with its advantages that's why peoples don't feel hesitation while purchasing them. Home storage supplies products prices in Pakistan is fluctuating with respect to its benefits and that true price get a good response from our customers. The entering area looks bad due to the bulk quantity of shoes and sometimes it also discomforts an individual to walk over there. 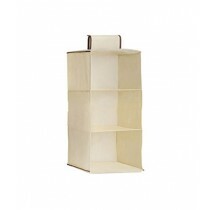 If you want to decorate the tasteful entrance of your home then have a look at our shoe rack collection. These racks beautifully designed by high-quality material and allow you to keep your shoes in an organized way and get rid of a messy entrance. We have something more for you as well that will carry basic stuff of your home and helps you to set the outlook of your home. Home storage supplies products prices in Pakistan is perfect as well with respect to its quality that's why its demand is rapidly growing in Pakistan same as other countries of the world. These Home storage supplies products can easily become yours by placing an order, so select the favorite one and basket it now!